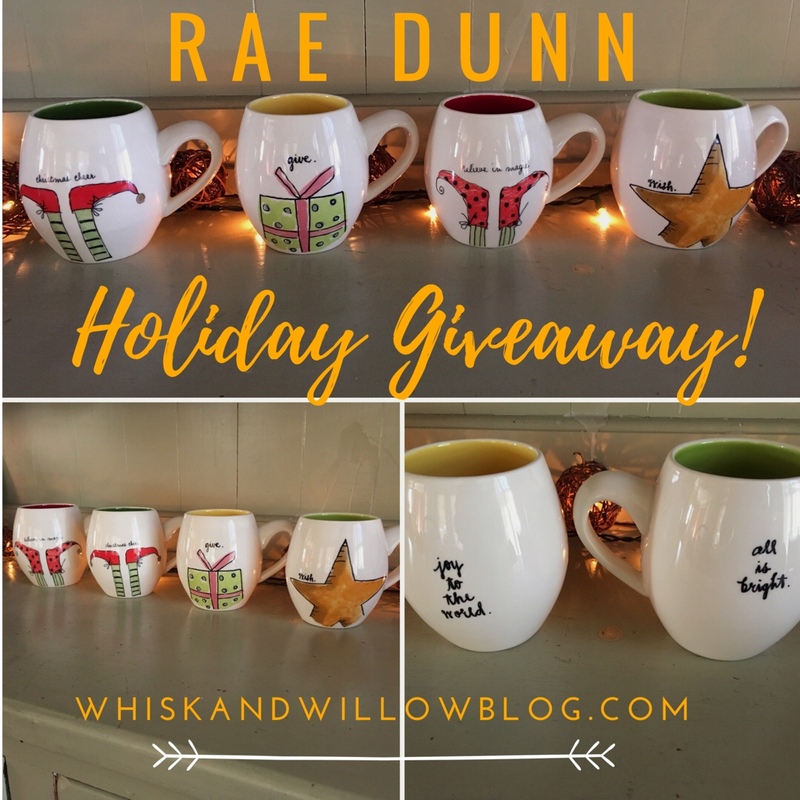 Rae Dunn Christmas Mugs Giveaway! It’s the season of giving, so to celebrate Whisk + Willow’s first Cyber Monday, I’m giving away these four Rae Dunn Christmas mugs! Subscribe to this blog by becoming a follower! Please note, this contest is not sponsored by, affiliated with, or hosted by Instagram, Rae Dunn, or Magenta. All mugs are brand new. Rules and conditions subject to change at Whisk + Willow’s discretion. Next Post New Spring Decor in the W+W Etsy Shop! I love everything about Christmas! It’s my favorite holiday. If I had to pick one thing I love most about Christmas, I would say decorating my classroom. I love seeing my kiddos face at school when they walk into my classroom and see Christmas decor all over! That’s so sweet! 🎄 I’m sure they love it! Now being a mom, my favorite thing about Christmas is seeing it through the eyes of my children. I love traditions of decorating and baking. Spending time with family and going around to look at christmas lights!! I love every thing about Christmas! Decorating, gingerbread houses, wrapping presents, the joy of kids seeing 🎅. Just there’s so much joy. I love everything about the Christmas season, specifically, spending time with family, picking out the perfect gifts for people, and decorating! I would have to agree that decorating my classroom for the holidays is always so much fun! This time of year just feels so magical! I love the warmth I feel inside. Time with family, hot cocoa, Christmas movies and books are also my favorites. I just love it all! Yes! And everything’s even cozier by the Christmas lights! I have so many favorite things about the Christmas season! I love all the baking (and eating lol! ), time spent with family, Christmas music & movies, and decorating! Such an exciting time! !